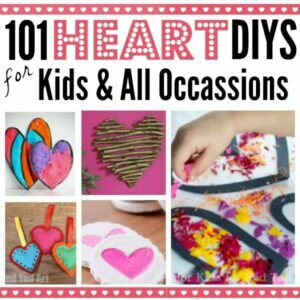 Our lovely 31 Days of Love series continues, with another easy Heart Craft for Kids! 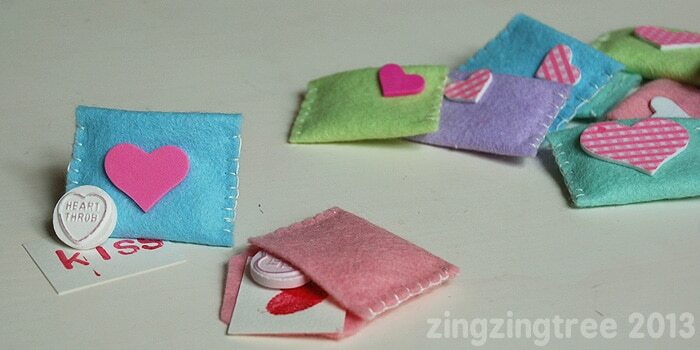 I simply love these felt mini envelopes for kids to sew. 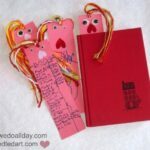 Today Anthea from ZingZingTree and BlueBearWood is visiting with her lovely little Valentines Gifts for the 31 Days of Love series. 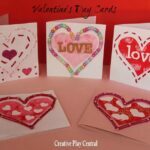 Check out previous posts, such as Valentine’s Cards and Valentines Treats, as well as all the lovely Valentine’s Decorations shared! 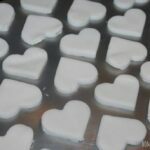 Hi, my name is Anthea and I blog over at ZingZingTree and BlueBearWood. 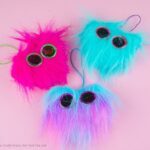 I have three girls and have great fun crafting, making and discovering new things with them . You may have seen me on some of Maggy’s fab craft hangouts … I’m the one that talks too much! 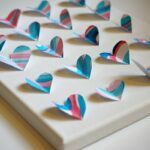 My girls love all things small and these mini valentine felt envelopes tick all the small, cute and fun boxes. 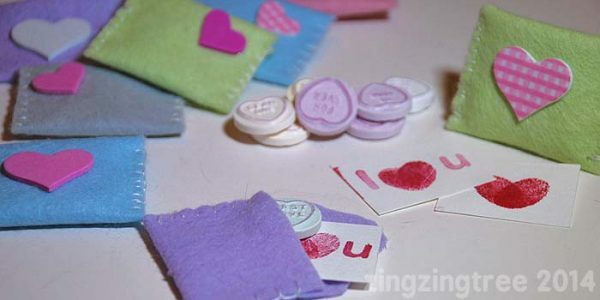 By keeping them simple, using stickers to decorate and not adding buttons, they make a great first sewing project. 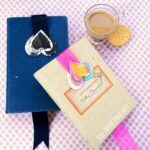 I used 4″x 4″ felt squares as there’s no measuring required but you could easily adapt this project to larger felt squares. Each square will make two envelopes. Cut a square in half creating two rectangles. Fold one of the rectangles in two places so you make the envelope pocket and flap creases. I work in fifths so make a fold about two fifths in and then fold the other end over. 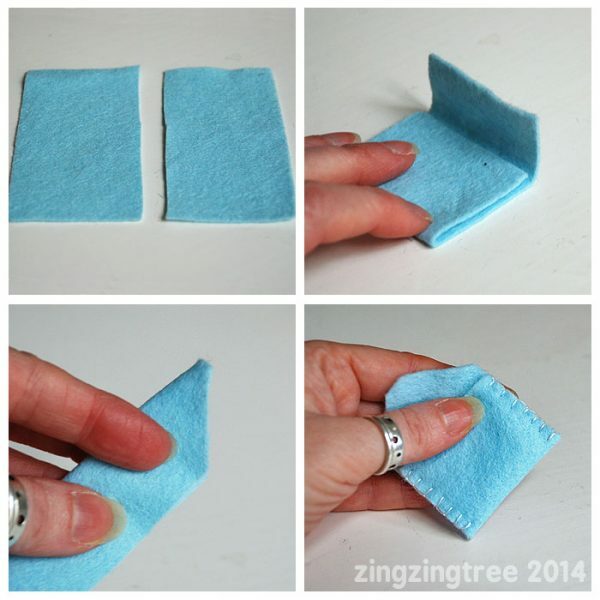 Rub over the folds well so that the felt creases. Next open up the felt and fold it length ways and cut the corners for the envelope flap. Use the creases as a guide for where you need to cut. You could run a thin line of chalk along the crease if you have trouble seeing it. Now remake the envelope and sew up the sides. You can use pins if you need to but be aware that they can mark the felt. To remove the pin holes use the sharp end of the needle to wiggle the hole closed. The perfect little gift for little people. 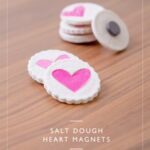 If you liked these then you may also like my Needle Felt Pebbles and Pipe Cleaner Hearts over on ZingZingTree or maybe my Homemade Lip Balms over on BlueBearWood.